The attacks began in Russia and Ukraine before spreading to western Europe and the US. THE RADIATION MONITORING system at Ukraine’s Chernobyl nuclear site has been taken offline after a massive global cyberattack, forcing employees to use hand-held counters to measure levels, officials have said. 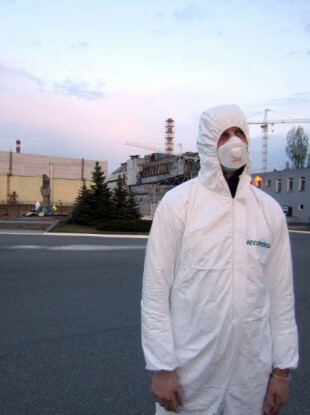 “Due to the cyberattack, the website of the Chernobyl nuclear plant is not working,” Ukraine’s exclusion zone agency, which oversees the Soviet plant that exploded in 1986 and is now surrounded by an uninhabited contaminated zone, said. The plant’s destroyed reactor was enclosed in a huge metal structure last year in a bid to stop radiation leaks at the site, where more than 200 tonnes of uranium remains. Ukraine’s exclusion zone agency said Chernobyl’s “technological systems are working as usual” and that radiation control is “without delays”. The cyberattacks began in Russia and Ukraine, wreaking havoc on government and corporate computer systems before spreading to western Europe and across the Atlantic. Several multinational companies said they were targeted, including US pharmaceutical giant Merck, Russian state oil giant Rosneft, British advertising giant WPP and the French industrial group Saint-Gobain. Some IT experts identified the virus as Petrwrap, a modified version of the Petya ransomware that hit last year and demanded money from victims in exchange for the return of their data. However, global cybersecurity firm Kaspersky Lab said: “Our preliminary findings suggest that it is not a variant of Petya ransomware as publicly reported, but a new ransomware that has not been seen before,” which it named ‘NotPetya’. The cyberattack also recalled a ransomware outbreak last month that hit more than 150 countries and a total of more than 200,000 victims with the WannaCry ransomware. The virus is “spreading around the world, a large number of countries are affected,” Costin Raiu, a researcher at the Moscow-based Kaspersky Lab, said in a Twitter post. In the United States, Merck was hit as was New York law firm of DLA Piper. “It seems to be done by professionals criminals, and I think money is the motivation,” Sean Sullivan, a researcher at the Finnish cybersecurity group F-Secure, said. He said that unlike the recent WannaCry attack, this attack has sophisticated elements that could make it easier to rapidly infect many more systems. Email “Chernobyl's radiation monitoring system hit by cyberattack”. Feedback on “Chernobyl's radiation monitoring system hit by cyberattack”.